What makes a neighbourhood a community? When was the last time you spoke to one of your neighbours? Do you have any public spaces (not cafes, or other businesses, but truly public) near your home to just sit & hang out? When was the last time you made a physical change to something in your neighbourhood, like cleaning up garbage, painting, planting things? What were your answers to the above questions? (Leave a comment below!!) Whether you own your home or rent, do you feel connected to the place where you live, or is it just where you sleep, like a hotel? Do people recognize you on the street & say hi? I know not everyone wants to get waylaid by chatty neighbours every time they leave their house, but think about the benefits of being more rooted in your community. Feeling safer & less alone. Having a sense of pride in where you live. Possibly making new friends. Making your neighbourhood more esthetically pleasing. 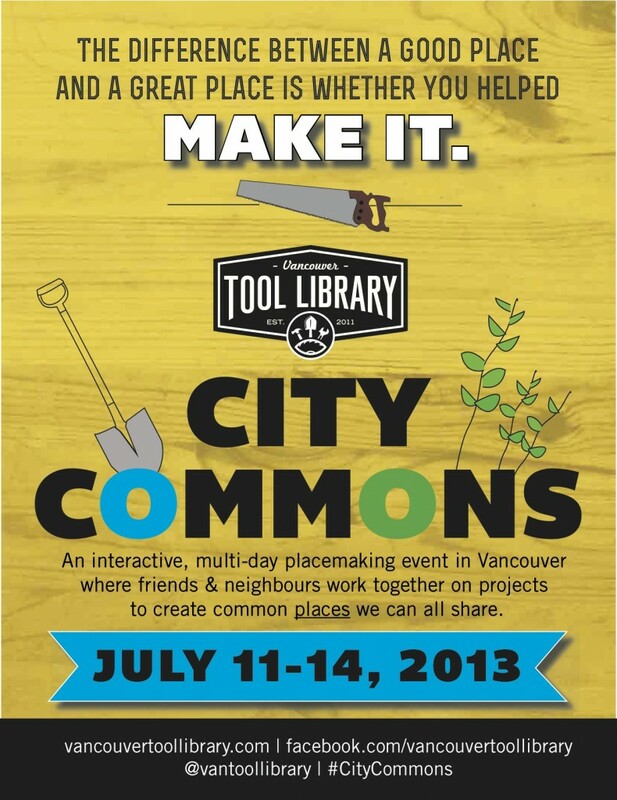 The Vancouver Tool Library is spearheading a new initiative to develop more community spaces & help connect the people in Vancouver's diverse neighbourhoods: City Commons. Between July 11 & 14 2013, City Commons will be encouraging community members citywide to transform several underutilized private & public spaces into commonplaces that foster neighbourliness. During the day, participants will collaborate on placemaking projects like street murals, building community furniture, educational or play areas, or neighbourhood sharing stations. In the evening, people can gather for workshops, music, & theatrical performances that celebrate our communities. City Commons will give neighbours an opportunity to work together to create ‘common ground’, places that empower & engage them. Both the process of building & the places created will foster real & meaningful connections on a neighbourhood level. These projects were inspired by Portland and Olympia’s successful “Village Building Convergences” (http://vbc.cityrepair.org/ & http://olyvbc.blogspot.ca/). 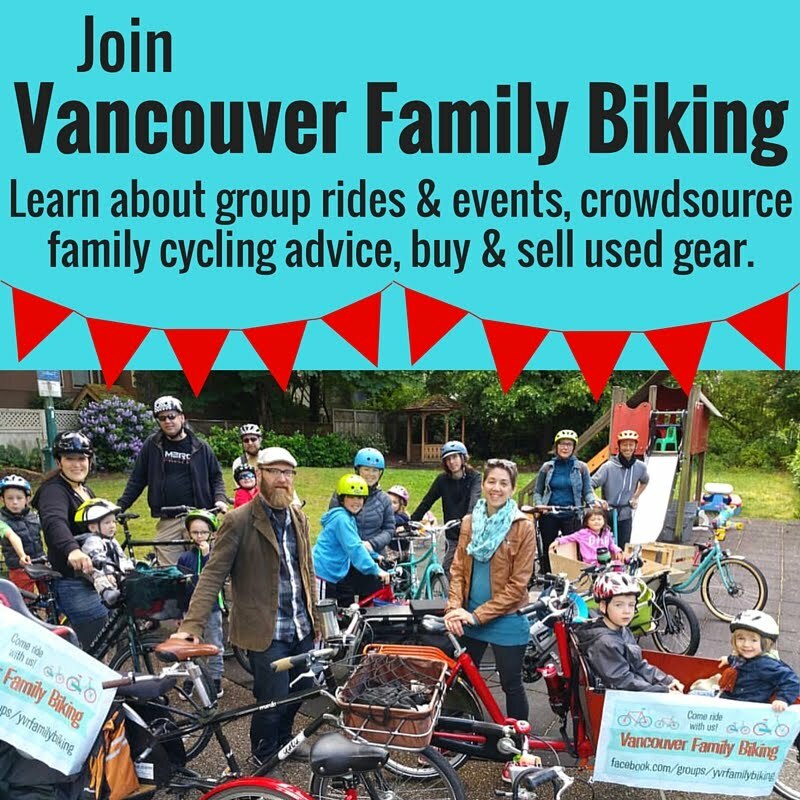 Of course, the transformation of Vancouver through community participation will take time. VTL is hoping that is that this year we'll establish a benchmark for future events. We are confident that this will become a yearly event in our city with longstanding impacts on the connectedness of our communities. So go get involved in your community! See VancouverToolLibrary.com for more info, like their Facebook page, follow them on Twitter @vantoollibrary & keep an eye on the project hashtag #CityCommons.